WROW 590 KHz, Albany, NY is another one of those successful AM stations. They have a music format, which I would characterize as a blend between nostalgia and oldies. They do well in the Albany book and most importantly; make money. The Wikipedia entry is a little dated, as they have had a music format for over four years now. The low dial position helps, as I can get the station up near the Canadian border and most of the way down to Poughkeepsie during the daytime pattern operation, which is better than across town WGY, 50,000 watts non-directional. WROW transmitter room; main and backup transmitters, phasor, equipment rack, etc. 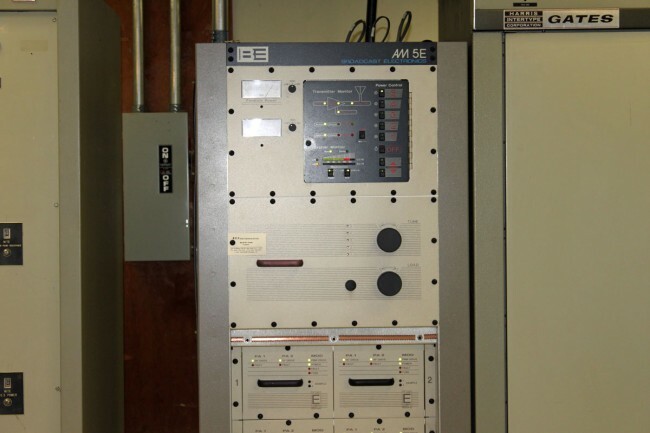 The former backup transmitter for WROW-AM. 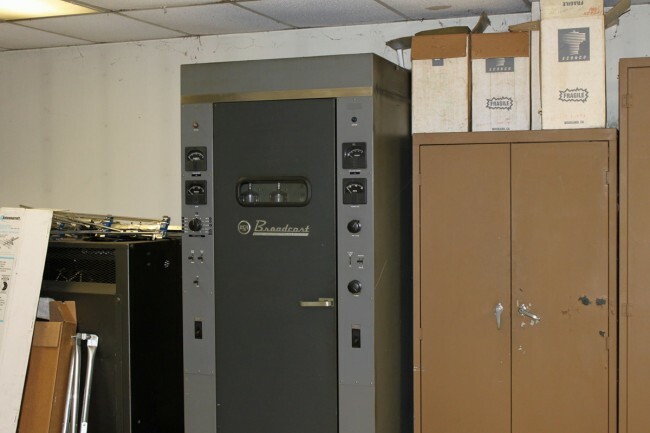 This was moved from the original transmitter site, located a few mile north of the current transmitter site in Glenmont, NY. 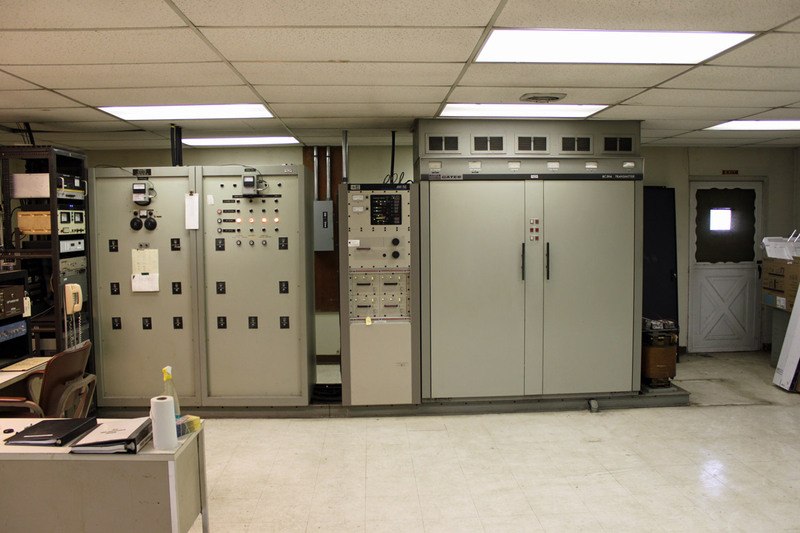 The current transmitter site was constructed in 1974. 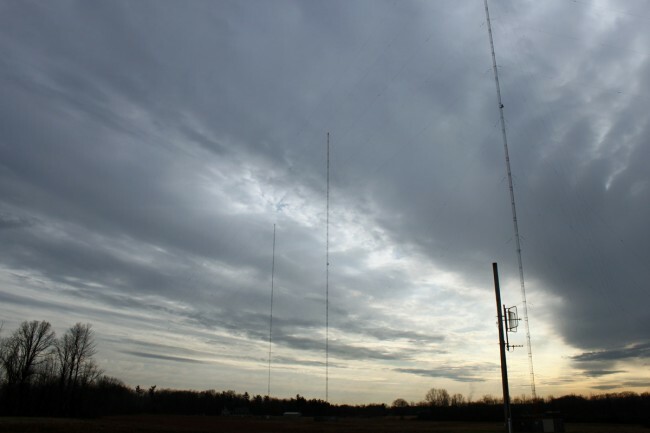 WROW antenna array. 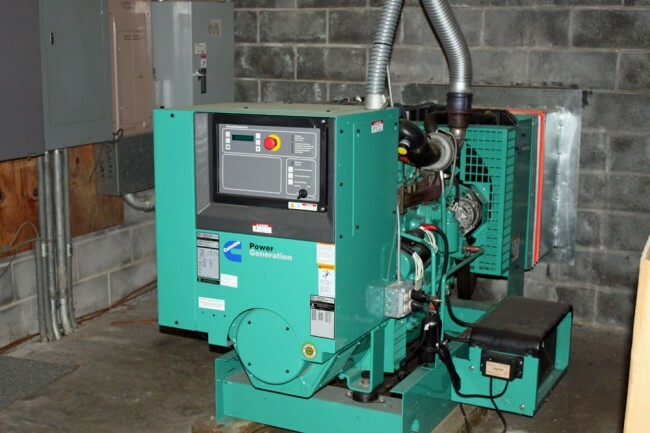 The station transmits with 5,000 watts daytime and 760 watts night time. The towers are slightly tall at 105 electrical degrees. It is hard to do tall towers at the low end of the dial because the towers get very tall. These are 149 meters (488 feet) tall.